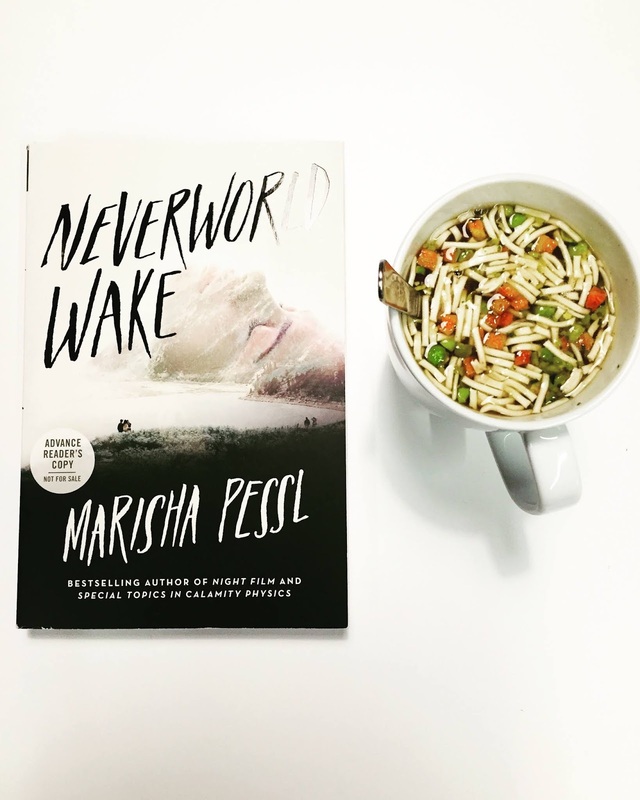 This is Marisha Pessl's first foray into the YA genre, and Neverworld Wake has fans everywhere on edge. Having received an copy in advance of it's June release day, I have to say that it's unlike anything I've ever read. I felt the same way when I read Marisha Pessl's thriller, Night Film. I didn't know what to expect with Neverworld Wake. This book was coined as a YA novel, and even though my expertise in the YA genre is limited, it sure didn't adhere to my preconception of what I imagined a YA novel should be like. Sure, Neverworld Wake is centred around a main cast of teenagers, but that about ends any comparison I have to any YA novel I've come across. Here's another disclaimer. Personally, I'm not a big fan of recurring themes in stories such as Groundhog Day, where characters get to relieve one day of their life. The loop seems endless to me, and rather repetitive. I prefer a story to move forward, each page offering a glimpse of something new, something unexpected. Neverworld Wake, perhaps is a bit of an exception. If it hadn't been a Marisha Pessl's novel, I probably would have abandoned it the moment I read the synopsis. But, it is. And that's a game-changer. Marisha Pessl does this concept in a way that's uniquely her own. Five friends, are trapped in a Neverworld, where they get to re-live one night over and over again, until they decide who must die. The main protagonist is Beatrice, who's boyfriend has recently died. Was it an accident? Was it suicide? Is his death somehow connected with this bizarre situation they are all trapped in. How will the friendship between the other characters unravel when they each start to analyze and make choices that will have pointing fingers at each other? The concept leans a bit on the bizarre end. Night Film was a bit bizarre too, but there was enough in the characters and the story that was compelling, making it a very realistic read. It's an example of when a horror story that borders on strangeness, becomes so compelling and realistic, primarily because of the momentum of the story and the reader's involvement with the characters. The reader is invested, and wants to see the story to its final word. That was Night Film. Neverworld Wake, for me, didn't share Night Film's enthusiasm to get to the end of the story. If I were to make excuses for the novel, I would assume that it was because Marisha Pessl wrote this for the YA audience, and dumbed it down a bit. Don't get me wrong, Marisha Pessl is a great writer. Even in reading this book, I was compelled to read on. It hooks you right from the start. The concept was interesting, and the first few chapters have a wonderful momentum to push the story to another never-worldly state. But then, somewhere along the line, I didn't care any more. You just want to get out of the loop. Perhaps, it was that I didn't care about the characters as much. Perhaps, I'm the wrong person to review this book as the YA genre lost it's credibility. And, perhaps it's because I really wanted a lot more from Marisha Pessl. Whatever the case, it's a book that's worth a read. There is a real attempt at magical realism that makes it current and realistic. And even though I didn't find the novel as compelling or an out-of-the-box story as Marisha Pessl's Night Film, it just may intrigue a new generation of readers to her brand. The YA crowd, who most probably are looking for something that's just a bit different from their regular sci-fi, fantasy, romance stories. Let me know your thoughts readers. Are you a Marisha Pessl fan? How do you compare this book to her others? Is it even fair to compare? 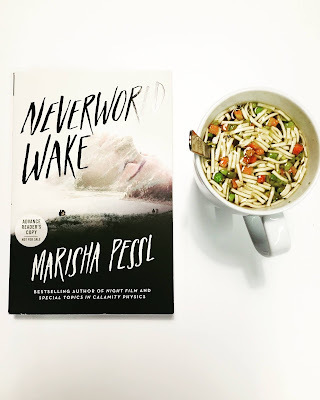 Neverworld Wake by Marisha Pessl is published by Delacorte Press New York. Copy provided by Penguin Random House Canada.